I guess these people truly believe themselves special, but pretend otherwise. Thanks, Mandy. Mebbe it's a vehicle for an nustice-focused organization like the John Howard Society. 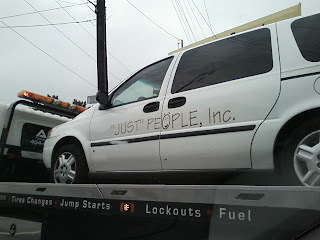 They use the word "just" a lot in punny ways. Heavy-handed prosecutors that tamper with evidence to win their cases.